This highly qualified expert has extensive experience in commercial real estate, specializing in malls, shopping centers and retail plazas. He earned both his BA and MBA from the University of Chicago and has given lectures at a few universities across the United States. 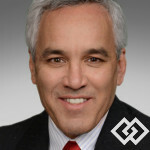 He has previously held many senior level positions including VP of development, real estate, and construction for companies like Macy's, Cole National Corporation, The Taubman Company and the Montgomery Ward & Company. 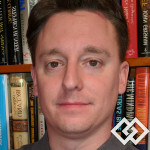 He is currently the principal for a private advisory and consulting real estate practice in Illinois.